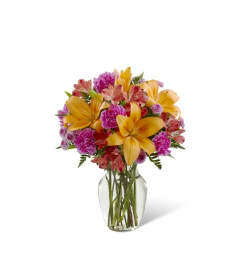 The FTD® Blushing Invitations™ Bouquet bursts with bright color and undeniable sweetness. 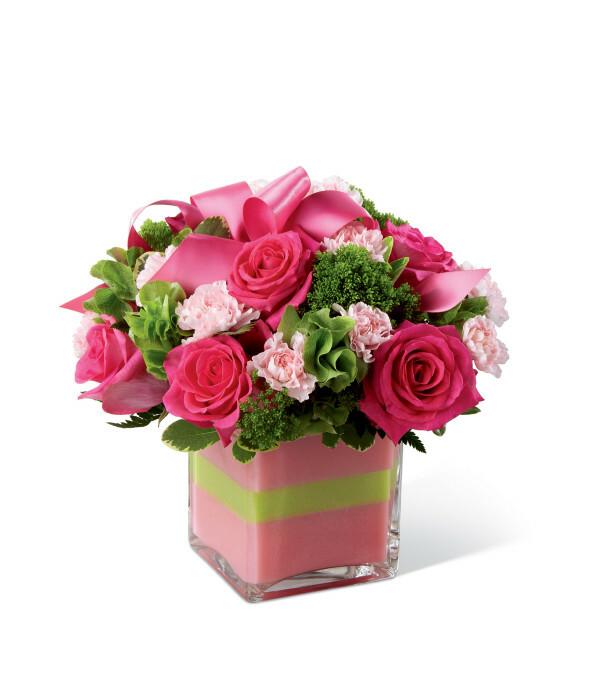 Fuchsia roses are daring amongst pale pink mini carnations, Bells of Ireland and assorted fresh greens. 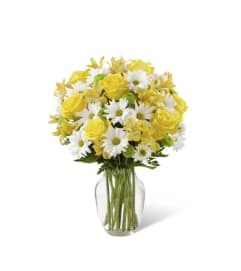 Arranged in a clear glass cube vase filled with pink and green rainbow foam and accented with a satin hot pink ribbon, this bouquet is set to send your warmest wishes.